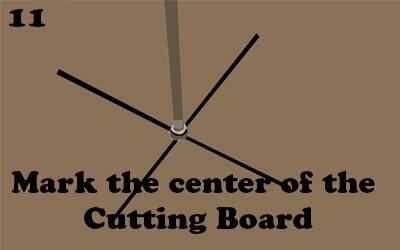 →How to cut a circle in wood with a jigsaw? 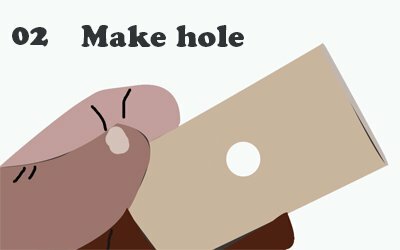 How to cut a circle in wood with a jigsaw? Well, today we will know how to cut a circle in wood with a jigsaw. If we need to do it perfectly we need to use a lot of physics, common sense and keep it simple. A jigsaw is a powered and motorized saw where its blade works with the help of its motor with its saw working in a reciprocating manner. Its motor is either powered by batter or electricity. Its speed depends on the strokes per minute depending on the power of its motor and quality being used in its build; thus it may vary up to maybe 3200 strokes per minute, which makes it very fast and one must be extremely careful while using. There could be many ways to cut a circle with the jigsaw. 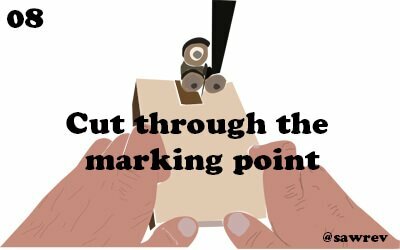 One way could be to draw a circle on the wood and mark all the important points on it to assist while cutting with jigsaw. You mark the center of the circle, you mark lines from the central of the circle to the circumferential line at a regular interval to assist while cutting circle. After you have done that you start cutting. It’s strongly recommended that this would not be an absolutely clean way to do it rather it would create more hassle and would not be clean as well or rather say accurate circle. 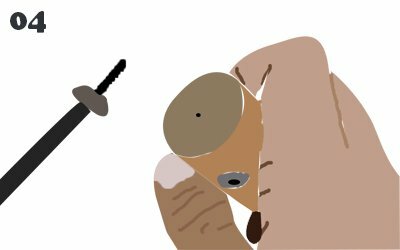 More cleaner, effective, and fast way would be to create a kind of a compass and properly attach jigsaw to it and cut the circle. This way most importantly it would be correct in terms of physics, logic, cleanliness, accuracy, workability, etc. and would not be that much of a hassle. For this one would need some prior preparation in terms of tool modification and that too would be workable for people who this type of work at home if they have proper tools. Next we will know how to cut this circle with jigsaw with the help of compass technique. Following are a few steps to cut circle while doing some improvisations with the jigsaw and doing it with the compass way. 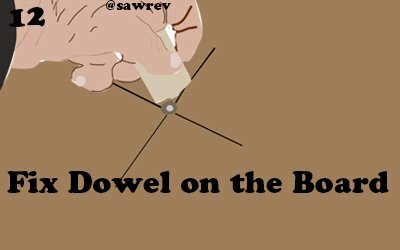 First of all we need to make pivot dowel which would be supported at the middle of the circle and the rod that we are going to be using would be a threaded rod attached to pivot and the jigsaw. Firstly take a piece of wood around 45 cm thick and cut a round of around 32 cm diameter with the help of bandsaw. Now with the help of V-block make a hole through the center of the dowel for coupling nut to be installed and to push the stick for support while drilling is done. Now fix the coupling nut to properly and tightly fit into the dowel and do test it before using it. 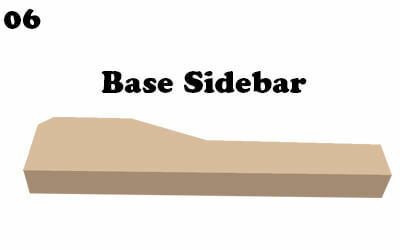 One could even use screws and stud snaps straight into the wood to be cut. 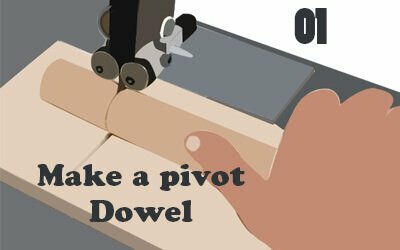 Now a hole on the countersunk of the dowel for stud snap is to be put into for it to sit better on the workpiece. One may even use glue to fix it. 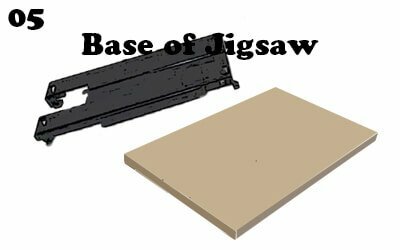 For making jigsaw base we need 0.25 inch Baltic birch. Put the jigsaw on in and outline it and cut the base. Cut it so that the jigsaw tightly fits in. 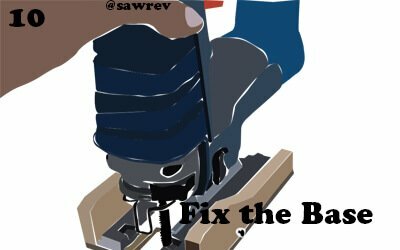 remove the soleplate at the bottom of the jigsaw. 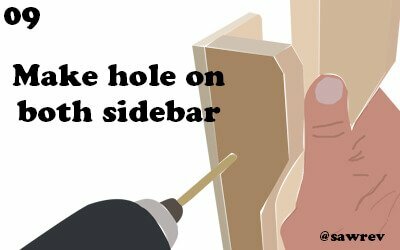 Now make hole through the both sides of the jigsaw base so it could fit a threaded rod directly perpendicular to it base. 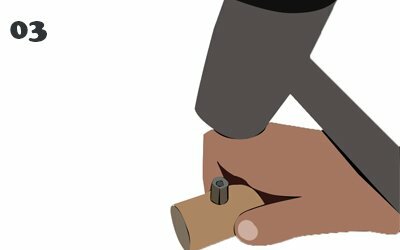 Now while this threaded rod is fixed to the jigsaw attach it to the dowel as well and adjust it as per size needed of the circle for cutting. 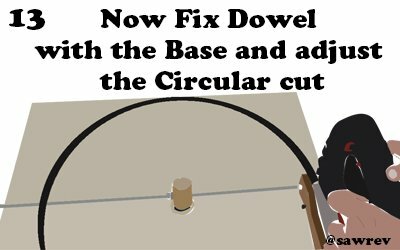 Now fix the dowel at the center of the circle with the help of stud snap and start cutting with circle with jigsaw and you’ve got a perfect one. This is how you can cut a circle in wood with a jigsaw and hope you can share your idea if you like through comment. It is open for friends not for the spammers. There are a lot of jigsaws available in the market these days depending on various brands, build quality, and features, etc. 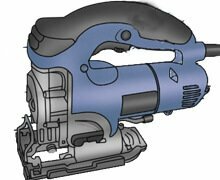 Before one selects a jigsaw one may look at questions in terms of Power, build quality, noisiness, precision in cuts, versatility, holding comforts, battery or power operated, battery life if it is battery operated, blade system, etc. and henceforth. 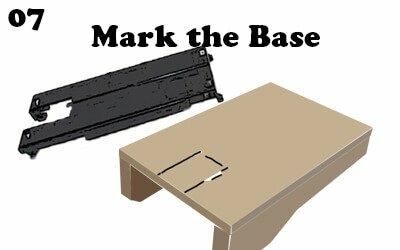 More than anything else one should know what kind of saw you need and it is a strong recommendation that one goes for the best, be it best miter saw, best cabinet table saw, best framing nailer, or any other saw that either professionals or DIY people are using as it may prove to be fatal if not the best.